Racism isn’t all in individual heads; it doesn’t just reveal itself in interpersonal relations. History, politics, and economics matter. By Jeremy Adam Smith. Published June 26. 2015 at openDemocracy. Does Graham have a point? After the news of Charleston broke, many of my Facebook friends referred to racism itself as a “sickness” or “disease,” and some described Roof as “insane.” A great deal of research suggests that racial discrimination can harm the physical and mental health of its targets, mainly due to the increased stress racism can cause. But are mentally ill people more likely to embrace and express racial prejudice? Could racism itself be a mental illness? Probably not, says the research. Even proponents of this view, like psychiatrist Carl C. Bell, argue that mental illness is associated only with certain forms of prejudice, as when people with paranoid disorders “project unacceptable feelings and ideas onto other people and groups.” Prejudice becomes pathological only when it interferes with functioning in daily life, which is part of the definition of mental illness provided by the DSM (the diagnostic manual used by psychiatrists). In fact, a belief in the superiority of one’s own group appears to be commonplace, and may be a fixed part of human nature. 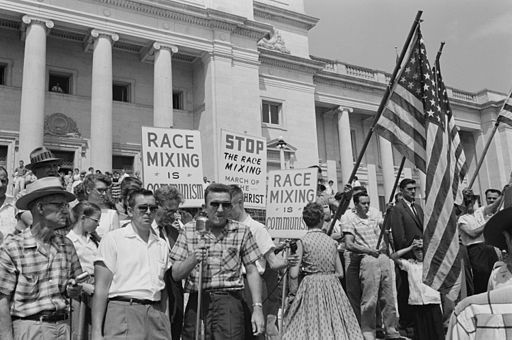 Prejudice and xenophobia are consciously embraced by many otherwise functional, healthy citizens, and racial associations persist in the unconscious minds of many explicitly anti-racist people. People are rarely either racist or not-racist. Almost all of us fall along a spectrum. But openly or secretly believing in the superiority of your own group is one thing. Killing people is quite another. Gunning strangers down as they pray doesn’t seem like the act of a healthy human being, and Dylann Roof’s life is now over. But his wasn’t just an act of self-destruction. The DSM doesn’t account for the fact that individuals will sacrifice themselves for the sake of the group; psychologists Stephanie L. Brown and R. Michael Brown call this “selective investment theory,” which argues that social bonds evolved to override self-interest and motivate high-cost altruism among individuals. Without this evolutionary development, armies would disband and war would end. But then, so would police and fire departments. Here we come to the crux of the matter. Racism isn’t all in individual heads; it doesn’t just reveal itself in interpersonal relations. In fact, history, politics, and economics matter. The advantage that one group has over another matters. “At the end of the day, we’re motivated by resource-distribution,” UC Berkeley psychology professor Rodolfo Mendoza-Denton once told me. Since humans use groups to allocate resources, we come to care deeply about our in-groups and we are prone to cultivating hostility toward out-groups—and that becomes so much worse when the out-group was itself once a ‘resource’, as African-Americans were once slaves. This can lead the dominant group to feel robbed, or dispossessed. We can draw a straight line from slavery to the Civil War to the Confederate flag that today flies in front of the South Carolina state capitol to the Confederate, Rhodesian, and South African flags sported by Dylann Roof in photographs. Here is a former classmate of Roof’s: “He had that kind of Southern pride, I guess some would say. Strong conservative beliefs. He made a lot of racist jokes, but you don’t really take them seriously like that. You don’t really think of it like that.” Others have since come forward with unambiguous evidence that Roof saw himself as a soldier on behalf of the white race, a kind of reverse John Brown. According to another friend, Roof hoped to spark a new Civil War. He may well have suffered from at least one mental illness that left him distressed and unable to function in daily life; illness may have left him with little to lose. Right now, we don’t know for sure. But we do know that he committed a conscious, deliberate act of intergroup violence that he himself situated as part of a larger, identifiable pattern. And to many people, he’ll be a hero. This is why it makes no sense to talk about the shooting outside of historical, political, or racial context, as Senator Graham tried to do. It was the act of a consciously white supremacist individual in a white supremacist social context. So why are so many people so quick to attribute Roof’s act to mental illness? What psychological agenda does it serve? Linda Tropp, a psychologist at the University of Massachusetts, Amherst, and an expert on prejudice, told me in an email exchange that this is probably an example of “fundamental attribution error” at work—that is, the tendency of humans to credit a person’s action to personality rather than his or her situation or social context. “Relegating the Charleston killing to the cause of ‘mental illness’ may lead us to make a dispositional (personal) attribution for the person’s behavior, and to downplay the situational/structural issues that have brought about such a racist act,” she wrote. That is the response predicted by at least one study published just this year. Charlene Y. Chen and colleagues surveyed a nationally representative sample of white Americans about how they viewed two different mass shootings, one based on the Virginia Tech massacre by a South Korean immigrant, the other inspired by the Columbine High shootings by two white, native-born youth. They found that participants were quick to attribute the Columbine-style shooting to mental illness, which was in turn associated with more positive beliefs about white American men. Participants primed with the Virginia Tech scenario, for their part, were more likely to see the murders as somehow more rooted in the shooter’s identity and to express negative beliefs about Korean-American men. In other words, this group of white people were more likely to see a killing by one of their own as a deranged individual act, not a product of white American-ness. They didn’t apply the same perception to an immigrant of color, which suggests unconscious, or “implicit,” bias at work. Some commentators went further than Graham in trying to disconnect Roof from culture and history. Another Republican presidential candidate, Rick Perry, called the shootings an “accident,” and many have invoked the language of tragedy or natural disaster. Yesterday, in her now-deleted Twitter account, Miami Herald columnist AJ Delgado questioned whether Roof was actually white, and added that white supremacists don’t kill black people in churches (forgetting, for example, the 1963 church bombing in Birmingham, Alabama). Such disparate efforts to “other” Roof—to repudiate his connections to community, history, culture, or even humanity—add up to one thing: denial. Where does that leave us? My two cents: The first step, and only the first, is to cultivate a high level of self-awareness, particularly of the psychological biases that can lead us to discriminate against others and to avoid responsibility for what happens in the world around us. But it can’t stop with inner change. Racism does not appear to be a mental illness, and you cannot treat it with talk therapy and pills. However, both racism and mental illness thrive in silence and isolation. The next step is to talk, openly and frankly, about both—and then have the guts to actually listen to each other. Beyond that, we need to find the courage to see the lines that connect the past with the present with the future—to see, in other words, that our actions have consequences. We can explicitly reject the symbols of racism and hate, like the Confederate flag. We can take steps to limit the ability of a man like Roof to get hold of weapons that turn private ideology into mass murder. We can work to eliminate bias in policing. The list is long, but Charleston reveals the alternative to inaction. I don’t want to live in Dylann Roof’s world. Do you? Jeremy Adam Smith is producer and editor of the Greater Good Science Center’s website. He is also the author or coeditor of four books, including The Daddy Shift, Rad Dad, and The Compassionate Instinct. Before joining the GGSC, he was a 2010-11 John S. Knight Journalism Fellow at Stanford University. This entry was posted in Civil Rights, Economics, Education, Human Rights, Media Issues, Social Justice, Terrorism and tagged Atrocities, Charleston, Civil Rights, Dylann Roof, Economics, Education, Equality, hate crimes, Human rights, race, racial profiling, Racism, terrorism on June 27, 2015 by MNgranny.